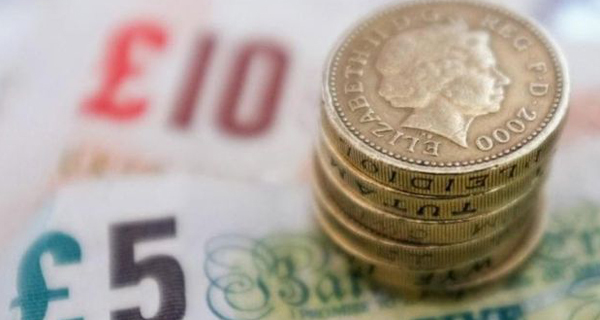 The new National Living Wage (NLW) comes into effect today. All workers aged 25 and over will be entitled to earn a minimum of £7.20 an hour – an increase of 50p above the current National Minimum Wage (NMW) rate. Over a million workers are set to directly benefit from the increase and many will see their pay packets rise by up to £900 a year. Rules on the NLW will be strictly enforced as failure to pay a worker what they are legally entitled to is a criminal offence and could result in an employer being named and fined by HM Revenue and Customs (HMRC). Workers under the age of 25 will be entitled to the NMW which is currently £6.70. From 1 October, the rate will rise to at least £6.95 an hour, £5.55 an hour for 18-20 year olds, £4 for under-18s and £3.40 for apprentices. When Chancellor George Osborne announced the NLW in the Summer Budget, he said the Government was committed to increasing the NLW each year and pledged it would reach £9 per hour by 2020. This measure would result in earnings of £16,380 for anyone working a full-time 35 hour week. Simon Hopkins, Turn2us Chief Executive, said: “The new National Living Wage will reduce some of the financial pressure on those we help. However in-work poverty still remains a real possibility for many. Critics of the NLW say a significant challenge will be posed to small businesses by its introduction. Many small business owners will not only have to afford the NLW but also have to pay for auto-enrolment of staff into pension schemes. Some expect their wage bills to rise by 50% by 2020. Similarly, trade unionists have expressed anger that the NLW will not be paid to young people. Neil Moore, Chair of the trade union Unite's regional youth committee, is calling for a £10 an hour minimum wage across the board. He told the BBC: "All the evidence shows that increasing the minimum wage boosts the economy, as workers have more money in their pocket to spend in local businesses. "We need a £10 per hour minimum wage. But it won't be handed to us from above by benevolent politicians. We will have to follow the example of low-paid workers in the US fighting for a $15 an hour minimum wage, who are winning victories in city after city through grassroots organisation." If you are on a low income, there may be benefits, grants or other financial support available to you. The ‘In work - on a low income' section of our website has information about help you might be eligible for, including Working Tax Credit. You can use our free Benefits Calculator to check your latest welfare benefits entitlements. Even if you have checked your benefit entitlements in the past it is worth checking again, especially if there has been a change in your circumstances.